Have you just brought your dream property in Texas? Are you all set to start working on that perfect office space for your company? Or probably you have owned a house for long and are looking for an overhaul of your wiring? We at GPE Electrical Services can help you out with these situations with our state of the art residential and commercial electrical rewiring solutions. Rewiring is sometimes an option and sometimes a necessity, and our skilled team is well-equipped to handle every eventuality. Existing houses need total rewiring after every 30 years or so. Alternatively, you might have purchased a new property for living or commercial purposes in Texas, and just want to lay things out according to the way you have planned. In all these cases, a complete rewiring of the property can be of immense help, bringing electrical connections and points to areas where you want them and provide you with a stable, reliable, and safe electrical supply. With these comprehensive services, you can totally overhaul the internal electrical system and structure of your home or office. Our team works fast and cleans up afterwards, and we can tackle your rewiring projects typically under a week to ten days. With our rewiring services comes a range of benefits which have been our trademark for many years. We offer our services at competitive prices, do a great job of tackling all the important factors of large-scale rewiring projects, and leave you happy with a system that is convenient, highly functional and stable, and extremely safe to use. 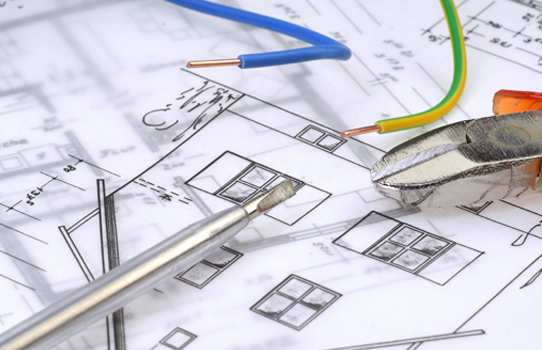 No matter the size of your property and the nature and condition of your old wiring, we can show up and start off with your rewiring requirements in Texas immediately. All you need to do is get in touch with us for a consultation, and we at GPE Electrical Services will immediately set about accomplishing your project with all the skills and experience that our team brings to the table. You can then enjoy the added comforts and conveniences of your rewired electrical system.